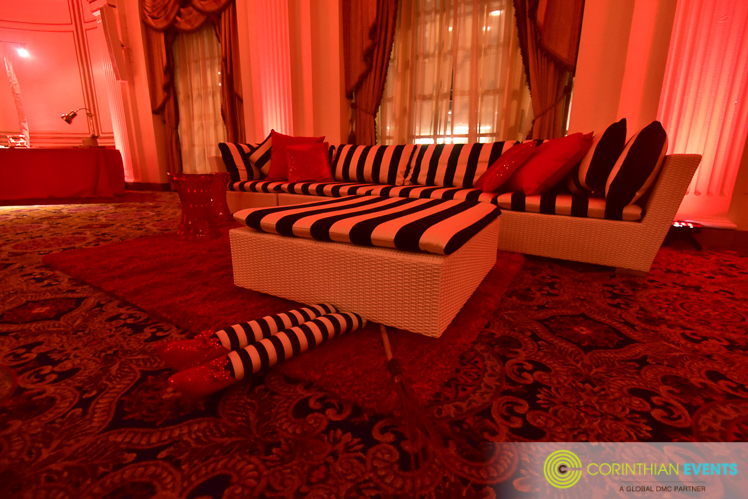 This holiday party transformed the classic Boston hotel into a scene from the Wizard of Oz. 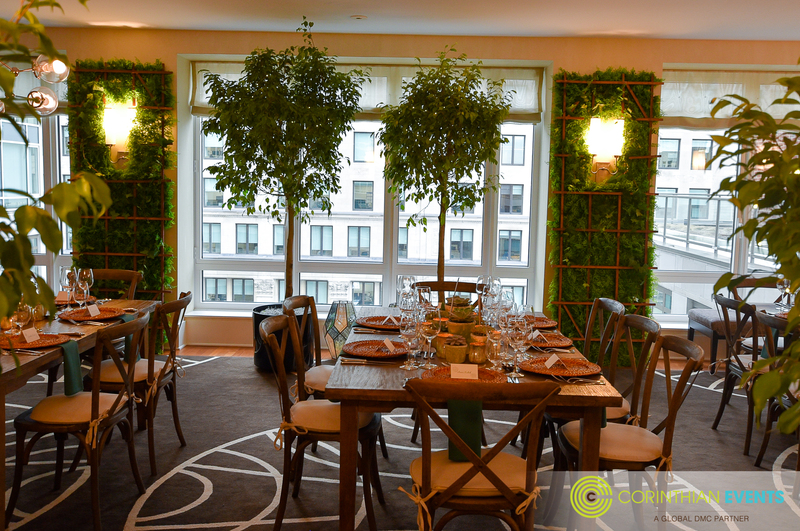 Guests found themselves far from the streets they know as they were swept up and transported into a land with hints of fantastical elements and décor adorned in rich shades of green and metallic tones. 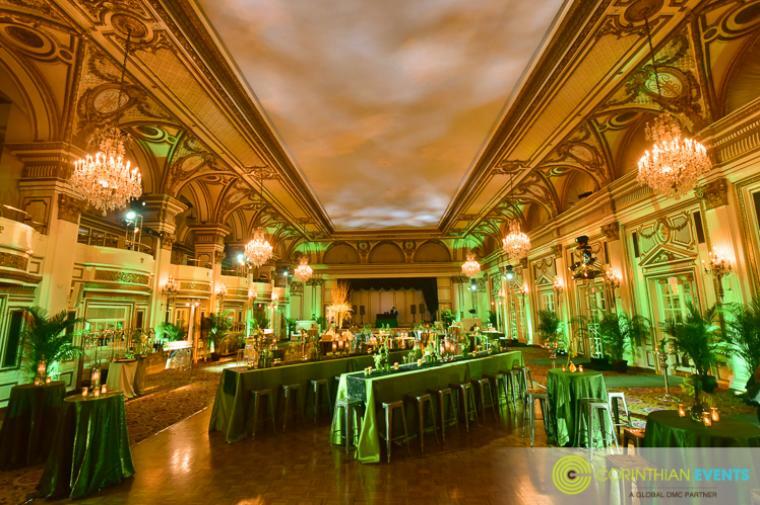 Projections of a brewing tornado on the celestial ceiling mural and green uplights filled the ballroom. 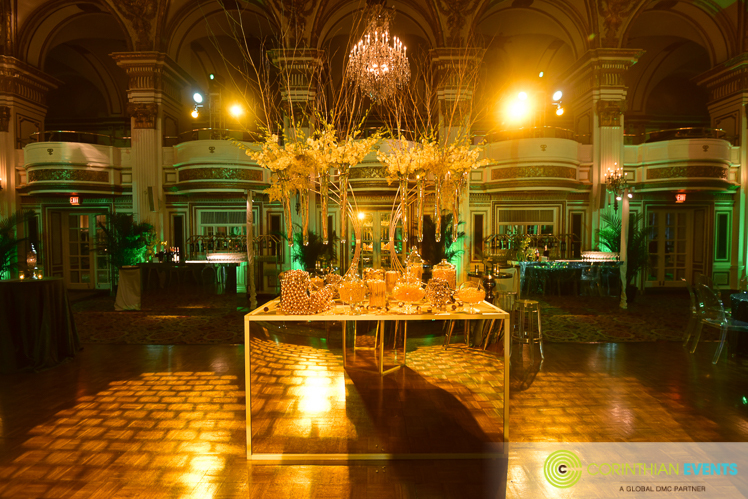 The famous Yellow Brick Road stamped a lighted golden tone and brick pattern through the green into the middle of the dance floor. 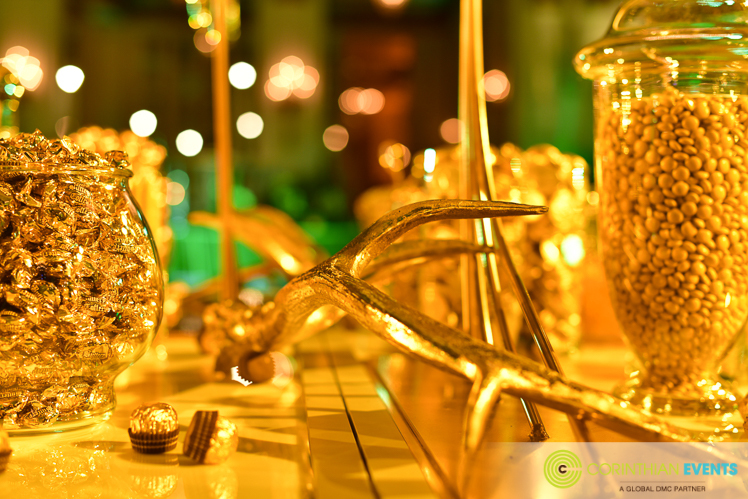 The center of the Yellow Brick Road featured a golden candy bar with an oversized statement piece including outstretched branches and golden antlers. 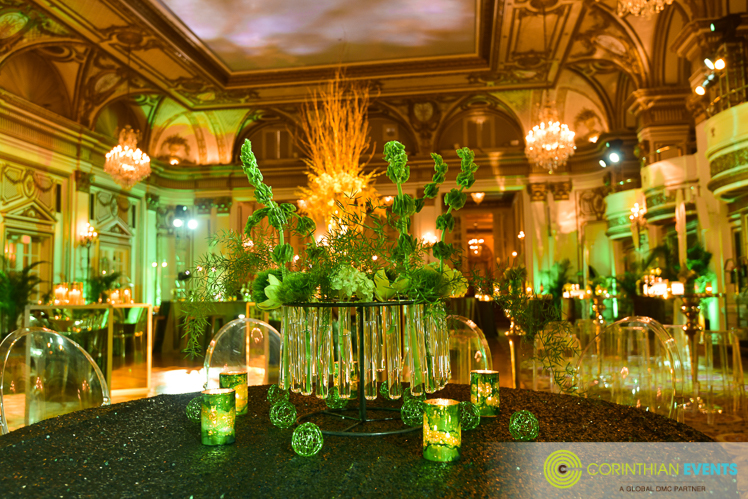 The bar added dimension to the space and certainly enhance the already beautiful ballroom. 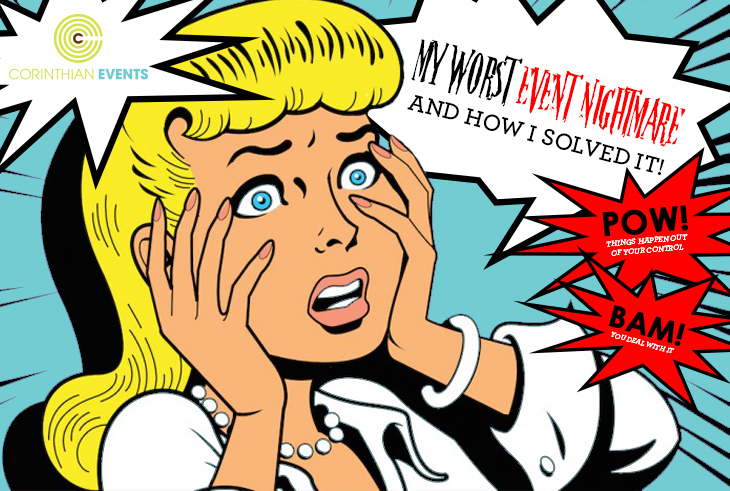 Scattered throughout the Grand Ballroom, high and low tables allowed for varied seating and perching. 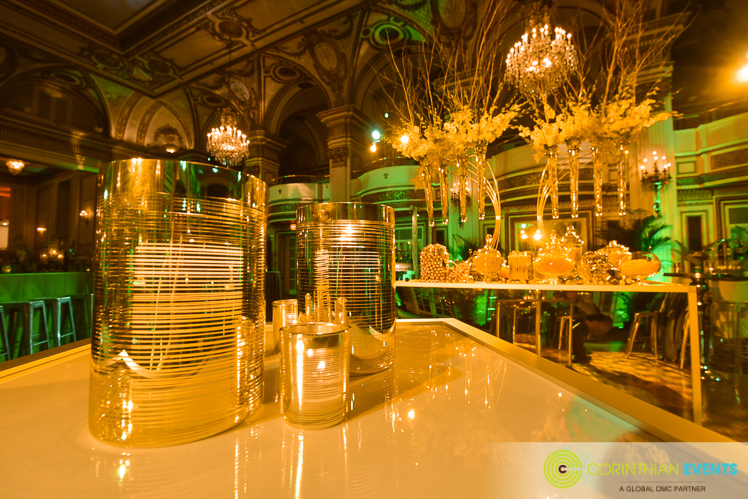 Mirrored and gold tables also featured metallic and glass center pieces, which were filled with test tubes, apothecary jars, and lush green floral arrangements. Soft seating sections allowed for louning and featured the face of the Wizard himself! 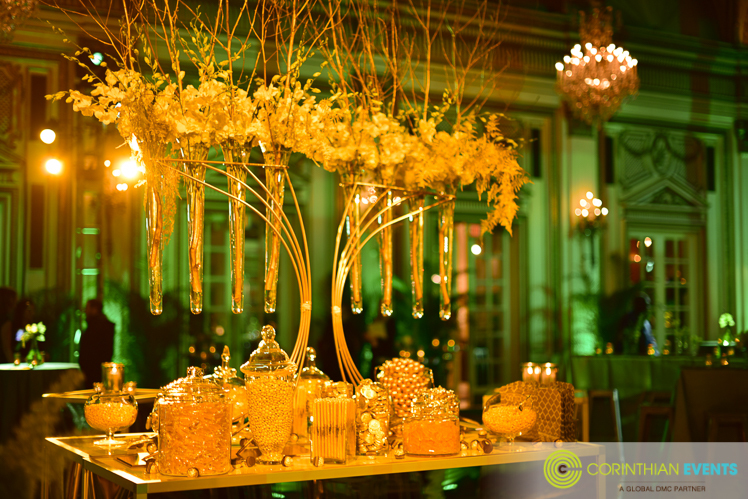 Along with this, glass and metallic candle holders, as well as ornamented lanterns, sat atop the sparkling green tables. 'Wiches of Boston brought an ice cream bar made right before the guests' eyes from a cloud of liquid nitrogen with festive flavors: Triple Ginger with Cherries and Roasted Almonds and Green Peppermint Chocolate Chunk with Mini Marshmallows. It was both entertaining and delicious! 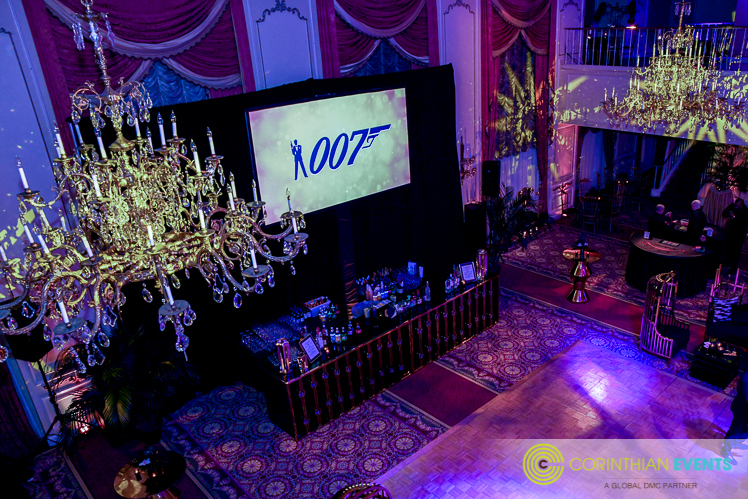 Behind the Grand Ballroom, the Ballroom Foyer was an ode to the story itself. 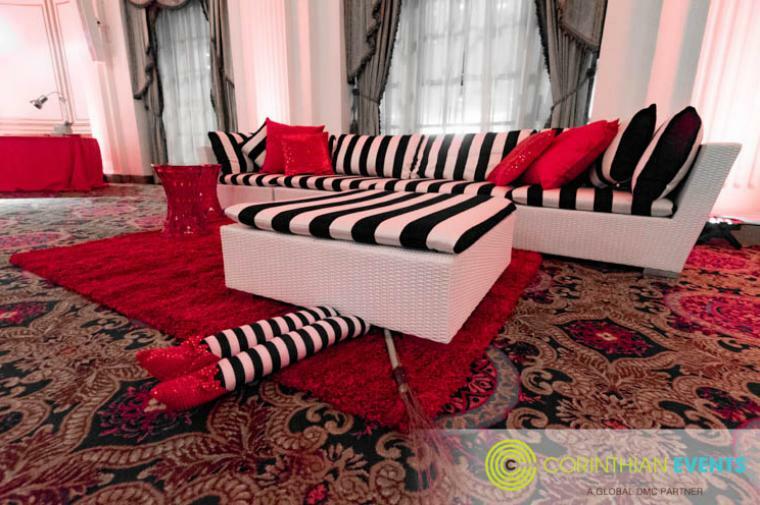 Black and white striped soft seating, reminiscent of the Wicked Witch's tights, and a pair of ruby slippers were the focal point of the space. 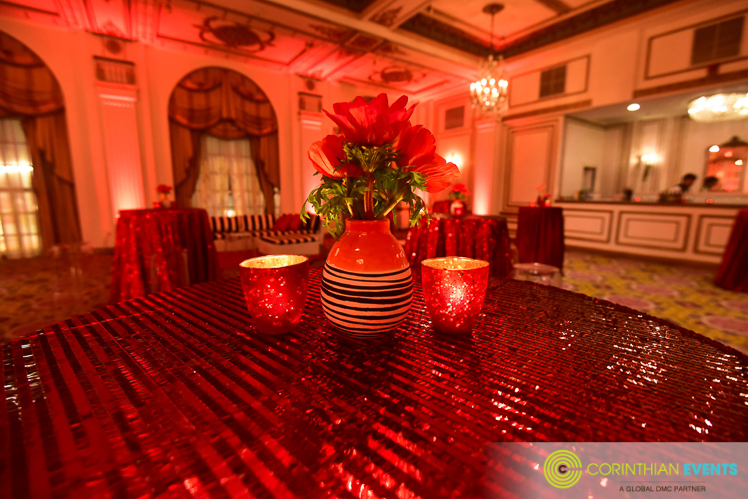 Ruby uplighting gave a different feel to this space while guests had the perfect oasis to retreat from the dance party. 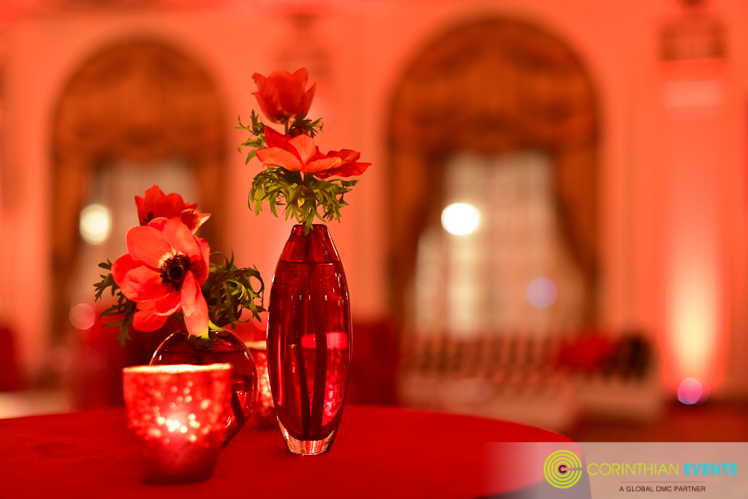 Small arrangements of red poppies sat atop the guest tables like the fields of poppies in the Land of Oz. 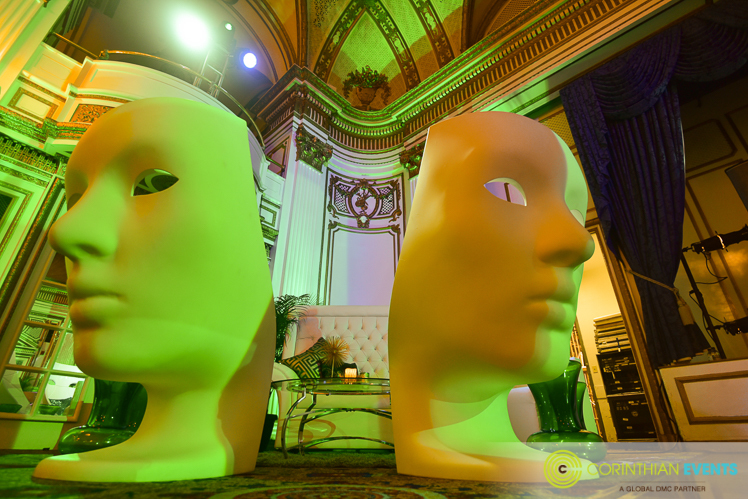 Both the ballroom and the Foyer transformed the Fairmont space to the Land of Oz, full of fantasy and holiday spirit for all to enjoy!